LICK is a Windows-based Puppy Linux installer, which fortunately supports Fatdog too. It install (Puppy/Fatdog) Linux to an existing Windows machine, non-destructively. After installation, you will be able to choose which operating system you want to use - the original Windows, or the newly installed Linux. In other words, it creates a dual-boot installation, which is probably what most of us are after. 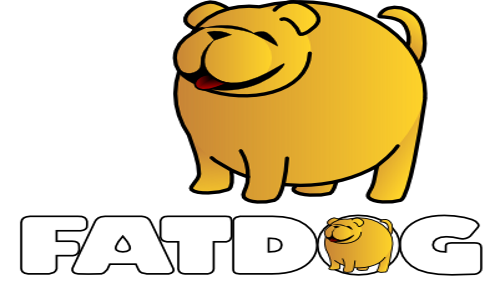 It runs from within Windows, read Puppy or Fatdog ISO, copies the files, and modifies Windows bootloader appropriately. It supports Windows 95, 98, ME, 2000, XP, Vista, 7, 8, 8.1 and 10, 32-bit or 64-bit - basically all version of Windows in the last 20-odd years or so, up to the very latest one (as of this writing). LICK supports installing to both BIOS and UEFI machines, both with or without Secure Boot. Before you use LICK, please read this entire document. LICK installs to an existing Windows installation and make changes to it, so it is important that you know what you're doing; and where to find help if you get into trouble. You can find LICK inside Fatdog ISO, it will be on its own "lick" subdirectory. The included copy is stored in compressed form to make the size smaller. Run it first to install LICK, and from there you can access LICK form the Administrator's menu. And then click "Install". LICK will do the rest. LICK is home-grown project from long-time Puppy Linux user and enthusiast, Lukas Lorimer (Puppy Linux forum name noryb009). It is an open-source project with MIT license. This is LICK forum thread→ on Puppy Linux forum. It is where new releases are announced, and it is also the appropriate thread to ask questions and help. And this is its github→ home, to get both the source and the binaries. LICK is a Puppy Linux installer for Windows. It configures Windows and Puppy Linux to create a dual-boot environment in just a few clicks. This makes it perfect if you want to try out Linux without the hassle of installing. LICK is versatile: it can be run on almost any version of Windows, from Windows 95 to Windows 10, on BIOS or UEFI. LICK is easy to use: It does not require a CD to be burnt or a USB drive to run. Download a Puppy Linux ISO and select it in the program to install it. LICK is developer-friendly: If you want to bring the power of LICK to your application or distribution, a command line utility and a library are available. LICK is licensed under the MIT license, so feel free to use it however you like. LICK is a free program to install Linux from Windows without burning a CD or using a USB. It is as simple as installing and running LICK, selecting a Linux ISO image, and clicking install. A few seconds later, you can reboot into Linux. Currently only Puppy Linux-based distributions are supported. LICK runs on any Windows version, from Windows 95 to Windows 10. Check below for any special notes on your Windows version type. You can download the latest version of LICK from Github. Windows 8 and up have a feature called 'Fast Startup'. This cannot be enabled if LICK is installed. LICK disables Fast Startup upon installation. LICK supports secure boot, but requires a manual step during the first reboot. On the first reboot, if you see a blue screen with writing, press enter to select OK.
Press enter again to select Enroll Hash. Use the up and down arrow keys to highlight loader.efi, and press enter. Press the down arrow to select Yes, then press enter. Use the down arrow to highlight Exit, then press enter. On subsequent reboots, these steps will not need to be taken. By default, Windows ME does not have all dependencies LICK requires. To fix this, install Me2Dos. You can also read the README.